Tell me I'm not the only one who plays board and card games against herself.....? Sometimes solitaire just isn't very exciting.... am I right? OK.... maybe it's a little strange. But I never said I wasn't weird! 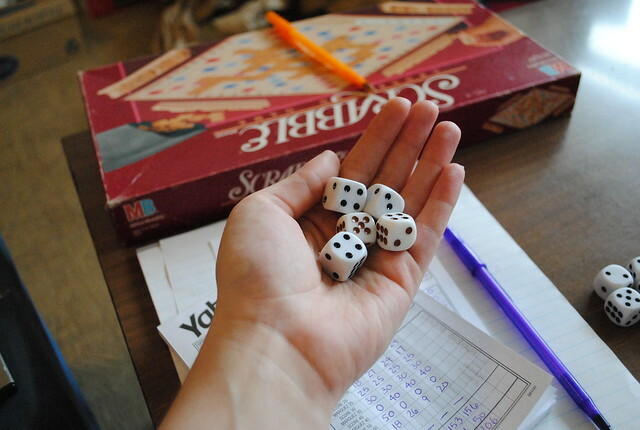 These last couple days, I've been playing Yahtzee alone. 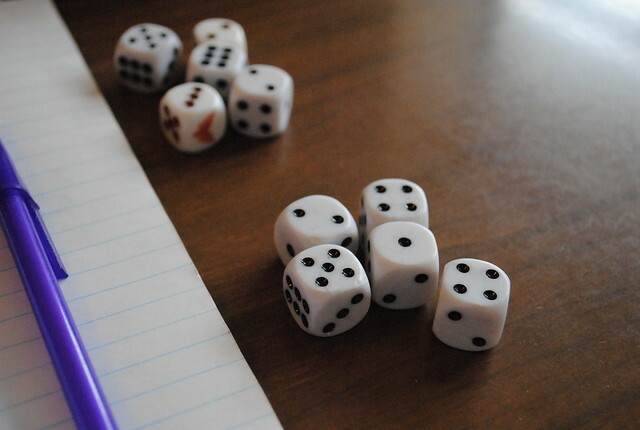 I have 12 dice & 2 of them are red. So I made 2 sets of 5 & set black against red. So far, black is winning 4 to 1. 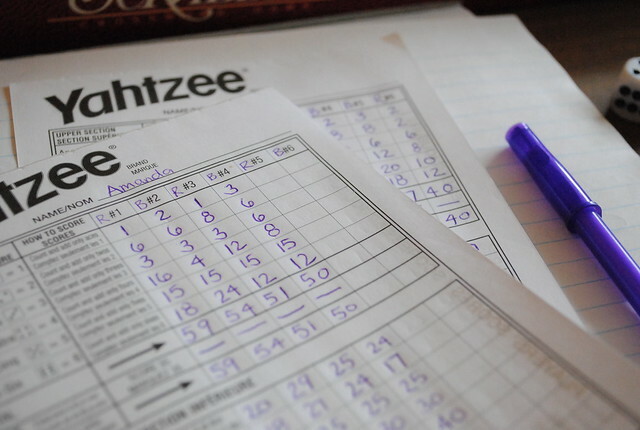 Yahtzee isn't all I've played alone recently. You can see the Scrabble board out there - I've played that against myself too. 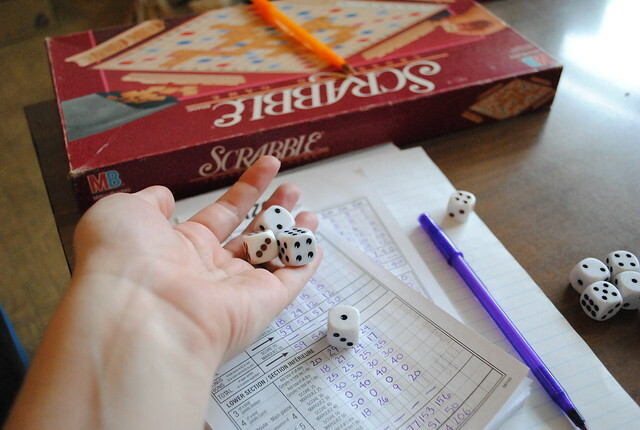 As a child, I used to play Monopoly, Euchre, war and many other games all by myself. Probably because I only have 2 brothers & both are very outdoors-y ... whereas I am not so much. So are you part of the play-against-yourself club? You should try it sometime; it's a great way to pass the time! I love this post. I have never really played against my self but I have been known to play games by myself, I may have to try with an imaginary player. 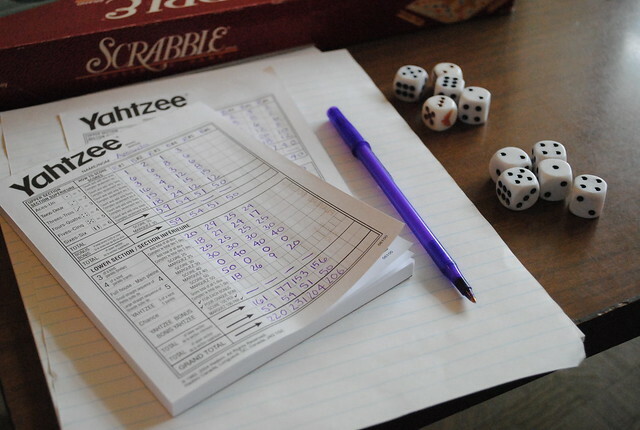 Too bad we were not closer, we are big game players, and I love Yahtzee and all other board games.